A wood burning fireplace is often what we picture when we think of a cosy hearth—so it’s no surprise that a real wood fireplace is the model for most gas or electric units. But, if you do opt for the real thing, the most fundamental starting point is the choice between masonry or a pre-fabricated (or “zero clearance”) fireplace. Each has pros and cons, as well as many options to consider. Constructed of brick, concrete or stone, a masonry fireplace includes the entire structure from the footings all the way to the very top of the chimney flue. It was perfected in Europe for hundreds of years, and for a long time it was the standard method for heating the interior of a home. Some fireplaces were even large enough for a family to do all of their cooking within it, using some form of grate to cook on or even a metal arm to swing a pot over the fire. I encountered a number of these in very old homes in Nova Scotia’s Annapolis Valley farm country. Some of the chimneys in these old fireplaces were large enough for an adult to crawl up inside, which I have personally done. Due to the type of material used, masonry fireplaces are incredibly heavy, so a full footing is needed for proper support. This means, for example, that in new home construction the footing is started even before the basement floor is poured. A qualified masonry contractor then builds the supporting structure up to the point in the home where the firebox and hearth will be located. The firebox is built of either firebrick or manufactured steel. The firebrick method is traditional and more typical, but a steel firebox can speed construction. The firebox design is critical to proper performance, and avoiding situations such as the fireplace smoking into the home. A steel damper is usually installed at the “throat” area to help prevent cold air entering the room down the chimney when not in use. (The throat area is where the smoke exits the firebox and goes into the smoke chamber and up into the chimney.) The throat, smoke chamber and chimney dimensions all work together, along with the fireplace opening size, to remove the smoke from the home and out the chimney. A variance in any one of these factors can make for a very expensive and unpleasant experience, along with an unusable fireplace. One advantage of a masonry fireplace is the traditional look, which may be especially desirable in an older home or a house of that style. Another benefit is that you can build one large masonry structure with multiple chimneys in it, such as an extra flue to serve an oil- fired furnace or boiler in the basement, or even another fireplace. I have seen very large chimneys with up to six separate fireplaces, all with their own flues, entirely within one structure. The complexity and size of a masonry fireplace, as well as the time involved in building it, are sometimes prohibitive, as is the potential cost. If the look of stone or brick is not important to you, then you might want to choose a pre-fab fireplace, which is less costly. 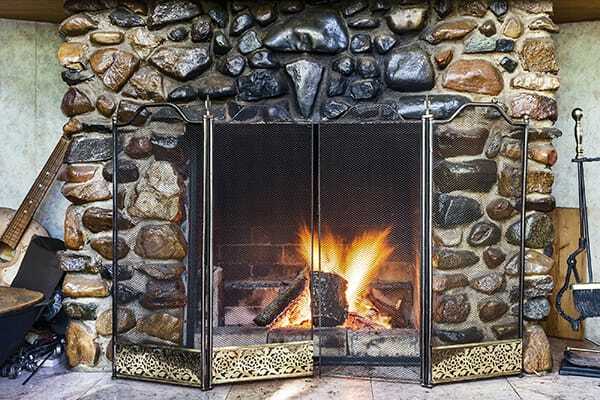 To ensure good design and proper functioning of the fireplace, you’ll need to hire a qualified mason. Fortunately, training and licensing requirements are very strict today, so it’s easy to find someone with these qualifications. Fireplaces that are designed and pre-made in a factory are a fairly recent but popular option for homeowners and come in two basic types—open and airtight. Both are available as very basic or complex models, and range in size from small to extremely large, with openings up to 50 inches wide and 42 inches high. The typical goal of the open style is to look as much like a traditional masonry fireplace as possible, whereas the point of the airtight, or closed, type is to maximize heat and efficiency. This is accomplished by using one or two gasketed doors and some type of air inlet control to allow for very precise control of the fire, turning the fireplace into an efficient heater. Many are EPA certified for low emissions as well. The construction of a pre-fab fireplace is very different from a masonry fireplace. They are typically made with an insulated sheet metal shell, steel fittings for strength, where needed, and pre-cast firebrick linings. The airtight versions will, as mentioned, have doors with gasketing and high temperature ceramic glass to allow safe viewing of the fire. The chimneys are also different. They are round and usually constructed of a stainless steel casing and liner with high temperature insulation in between. Pre-fab fireplaces are usually installed right on the floor without concern for weight, so no extra support or footing is needed. The chimney is easily connected in sections up to four feet long and is sealed where it passes through floors, the attic and out through the roof. 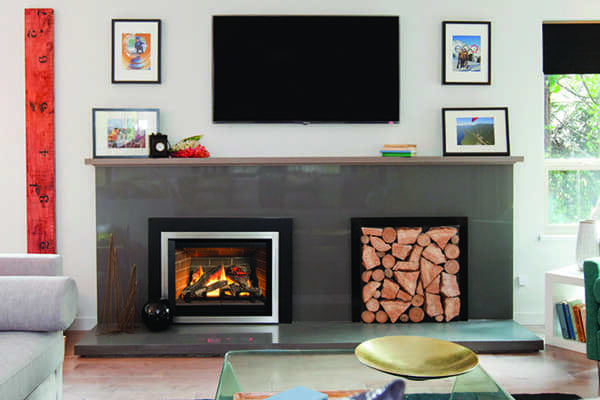 The pre-fab fireplace can be finished to reflect almost any style, using studs and drywall, materials such as stone or tile, and any style mantel. 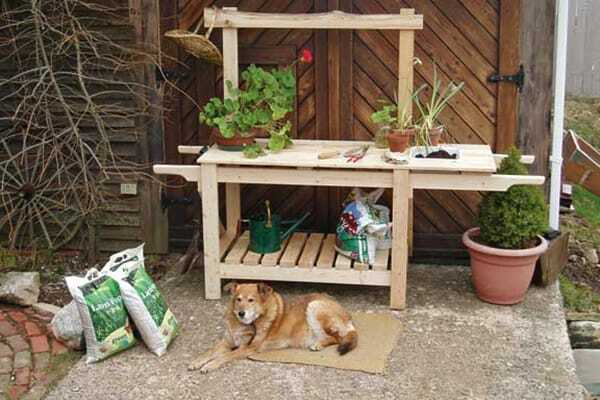 Installation can be done in a relatively short time frame, and with much less mess. Some fireplace manufacturers have gone to great lengths to emulate real masonry. Most pre-fab companies offer a minimum 25-year warranty, often with few limitations. Chimney systems sold in Canada today also normally carry a lifetime warranty. A warranty of any kind is difficult to obtain on a masonry fireplace and chimney beyond the basic workmanship. Pre-fab fireplaces can offer superior heating ability to masonry, unless you go to the additional expense of a wood burning fireplace insert in a masonry fireplace. While this is a great upgrade for an existing masonry fireplace, it wouldn’t normally be the choice for new construction due to the extra cost. The only real drawback to the pre-fab fireplace is that it can sometimes be challenging to get the authentic traditional look. Disguising the stainless steel chimney can be done with framing and man-made stone or brick veneer, but it takes an experienced tradesperson to do this well. 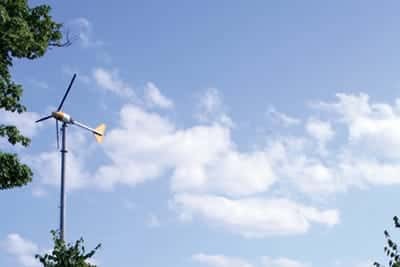 Homeowners are installing wind turbines as an additional source of energy, and some are even using wind - and solar - to go off the grid.